Cynthia Wright Downing was announced as the new commandant of Summerlin Academy today, making history once again in her career. Downing is the third commandant in Summerlin’s history and the first woman to lead the military-style school of choice. 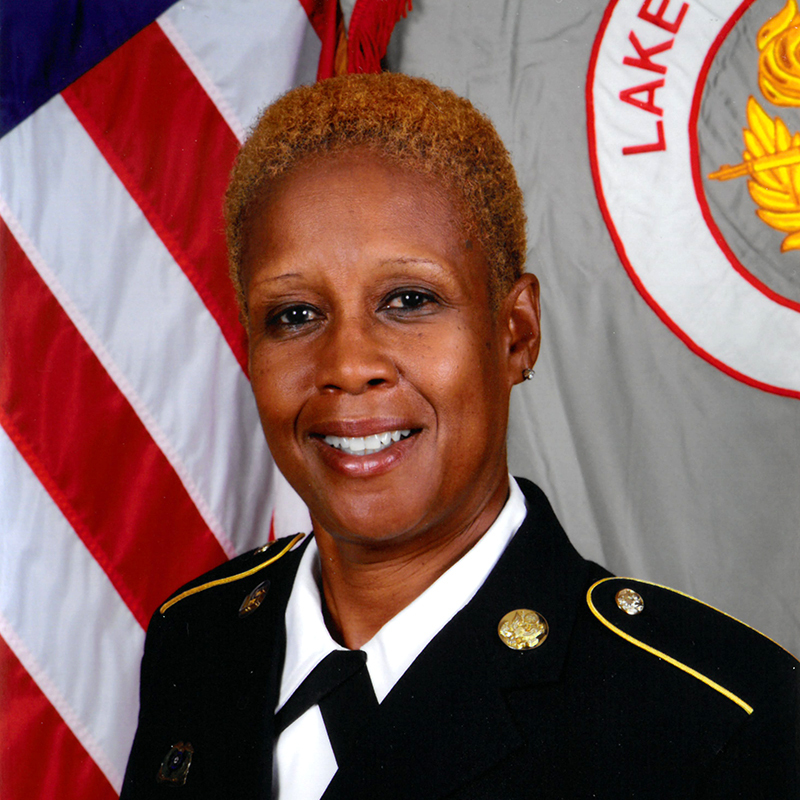 She previously served as the dean of students at Lake Gibson High and spent more than 25 years in the U.S. Army, retiring as a command sergeant major. During her military career, Downing became the first female commandant of the Quartermaster School at Fort Lee, Va., as well as the first female deputy commandant of the NCO Academy at Fort Bliss, Texas. She joined Polk County Public Schools in 2006 and has served as a JROTC instructor at George Jenkins and Lake Gibson high schools. At LGHS, she was the school’s 2015 Teacher of the Year. Summerlin Academy was established in 2005 after branching off from Bartow High as a “military school within a school.” Summerlin students, known as cadets, wear uniforms and participate in rigorous academic and JROTC programs, with an emphasis on leadership, honor and community service. Downing is a natural choice to lead the academy, said Tami Dawson, regional assistant superintendent for PCPS’ high schools.